At the end of 2017, the Senate Indian Affairs Committee sent nine bills to the Senate floor for passage – all passed with Unanimous Consent. 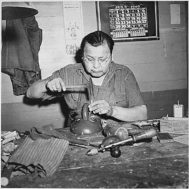 The Safeguard Tribal Objects of Patrimony Act, S. 1400, known as the STOP Act, was NOT among them. It appears that a number of Senators on the Indian Affairs Committee heeded the questions raised by ATADA, CCP, the Global Heritage Alliance, and other organizations. 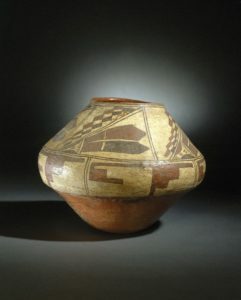 The groups variously raised concerns about the constitutionality of provisions forbidding trade in unspecified objects, the negative economic consequences for Southwestern states and the harm to museums and private collectors by making it federal policy to return all Native American objects to tribes. Rachel Sahmie Nampeyo (Hopi Pueblo, Native American, born 1956). Jar, late 20th century. Brooklyn Museum, Gift of Joan and Sanford Krotenberg, Creative Commons-BY (Photo: Brooklyn Museum). A parallel bill is before the House, the Safeguard Tribal Objects of Patrimony Act, H.R. 3211, which has been before the Subcommittee on Indian, Insular and Alaska Native Affairs and the Subcommittee on Crime, Terrorism, Homeland Security, and Investigations since last August. It is hoped that the issues covered in testimony and outlined below will continue to raise concerns about the STOP Act as written, and will engage the public in developing more positive public policies to protect tribal, economic, museum, and academic interests in 2018. On November 8, 2017, three organizations representing the interests of collectors, the art trade, and museums gave written testimony to a hearing at the Senate Committee for Indian Affairs. 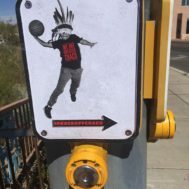 The Safeguard Tribal Objects of Patrimony Act of 2017, or STOP Act (S. 1400, HR 3211) would affect thousands of collectors of American Indian art, Indian artisans, and businesses throughout the Southwest. ATADA, the Committee for Cultural Policy, and Global Heritage Alliance provided critical perspectives on the bill, which threatens the trade in Native American art, and will hamper museums in their efforts to protect and share Native art and culture. 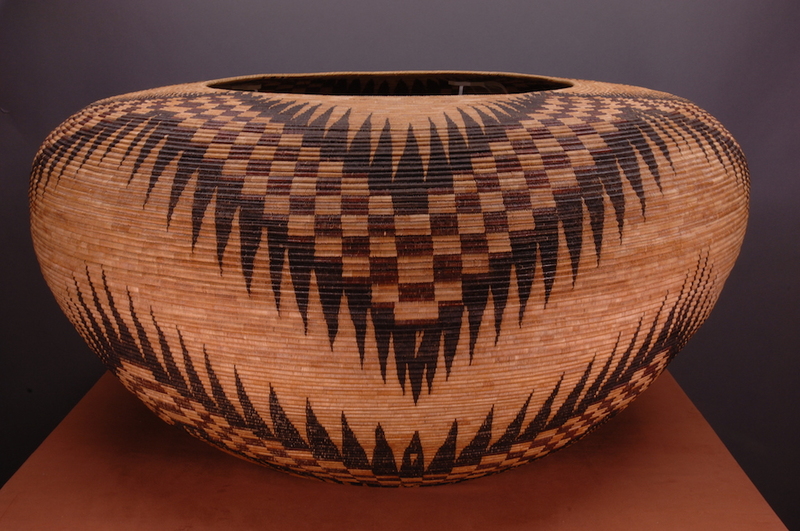 If passed, STOP would impose broad restrictions on the circulation of tribal art and fundamentally alter Congress’ past support for private and public collecting. While supporting respect for tribal patrimony, restoring communally owned, inalienable objects to tribes, and protecting archaeological sites from looting, the three organizations argued that the STOP Act will not achieve these goals. The Act is harmful to both tribes and Southwestern states and unconstitutionally fails to give notice of what would be illegal to export. 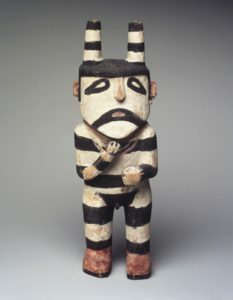 Although the legislation was triggered by French auctions of tribal artifacts, no proponent of STOP has shown how it would change the operation of French law. France is currently a market center for international tribal art from nations in Africa, Asia, and South America that already have export laws. Paris annually hosts the largest tribal art fair and market in the world, the Parcours des Mondes. How Would a Person Know When They Were Breaking the Law? Lack of notice to US citizens of what would violate the law and trigger a 10-year penalty was a key issue for Senate Committee members. Senate Indian Affairs Committee Chairman John Hoeven of North Dakota asked – if information on what is sacred and inalienable is secret, how would a person know when they were breaking the law? Proponents of STOP failed to give an answer. Acoma-Governor-Kurt-Rileys-testimony to the Senate Committee acknowledged that the law would forbid the export of undisclosed items, stating: “The types of cultural items the Pueblo is attempting to protect are difficult to fully describe and publicly identify,” but later asserted NAGPRA makes clear what is covered. (NAGPRA does not actually identify what is inalienable or what is sacred, and after 27 years, there is still no standard for museums to follow under NAGPRA.) Governor Riley also stated that if in doubt, collectors could contact tribes. However, many, including Acoma, do not release information on what is sacred, or which items are inalienable from the community. The STOP Act is redundant. “Trafficking” in violation of NAGPRA or ARPA is unlawful, and 18 U.S.C. § 554 already prohibits export from the United States of any object contrary to any law or regulation of the United States. The STOP Act fails to explicitly place the burden of proof on the federal government, giving Customs broad discretion which in the past has led to due process abuses. The STOP Act imposes 10 years’ jail time for violations of less than $1 value. The STOP Act could destroy the value of Americans’ private property, threatening the collections of America’s museums and the commercial viability of businesses and Native American artisans. The STOP Act federalizes ATADA’s Voluntary Returns Program, discouraging participation, and creating a “Trojan Horse” bureaucracy, including Department of Justice and Homeland Security. ATADA’s Voluntary Returns Program is a better, more effective model, and has returned dozens of important ceremonial items already in its first year. The plain language of STOP makes it federal policy to encourage voluntary return of all “items affiliated with a Native American culture” to their origin tribes. 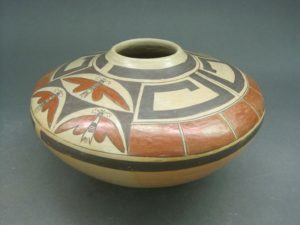 Such a federal policy would severely damage the entire legitimate trade in Native American art: from legally excavated or sold historic objects to commercially produced jewelry, pottery, and textiles made by tribal artists. The federalized ‘voluntary’ returns program amounts to a clean sweep of the nation’s collections of tribal art, deterring buyers from purchasing objects, private collectors from donating their art to museums, and public museums from adding to or even retaining their current holdings. Many Southwestern US states rely upon cultural tourism, just as many of the tribes do; almost ten percent of New Mexico’s economy and employment derives from cultural tourism, much of it focused on the state’s Native culture and history. The STOP Act threatens to end this significant component of American life. In the last year alone, ATADA’s successful voluntary, non-governmental returns program has arranged the return of dozens of sacred objects to tribes. ATADA urged the Senate Committee to encourage voluntary returns by directly involving tribal offices and enabling donors to take deductions for gifts. A law that prohibits export of certain items must define what those items are, or be found constitutionally deficient. The 567 tribes in the United States are not homogeneous in their cultural perspectives. What may be profoundly sacred to one tribe may be a utilitarian object to another. 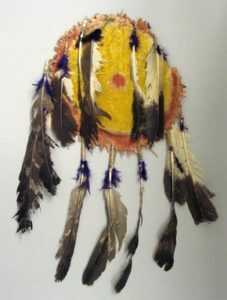 Furthermore, many tribal representatives hold that the nature of sacred objects must be kept secret even within tribes. 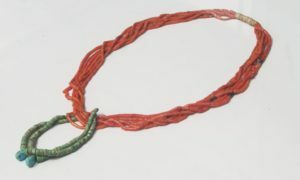 Only tribal religious or cultural authorities are considered qualified to determine the status of a particular object. Global Heritage Alliance said the STOP Act will encourage Customs to shift the burden of proof on to the exporter to demonstrate that the property was lawfully removed from federal or Indian lands. Under STOP, the government would require owners to prove their objects were not ‘stolen,’ which is no easy matter when objects have circulated for decades among many hands. ATADA, CCP and GHA agreed that if the STOP Act is passed, it should be revised to eliminate constitutional abuses, return only what truly needs returning, and continue existing federal policy that protects museum, private collections and the public interest.